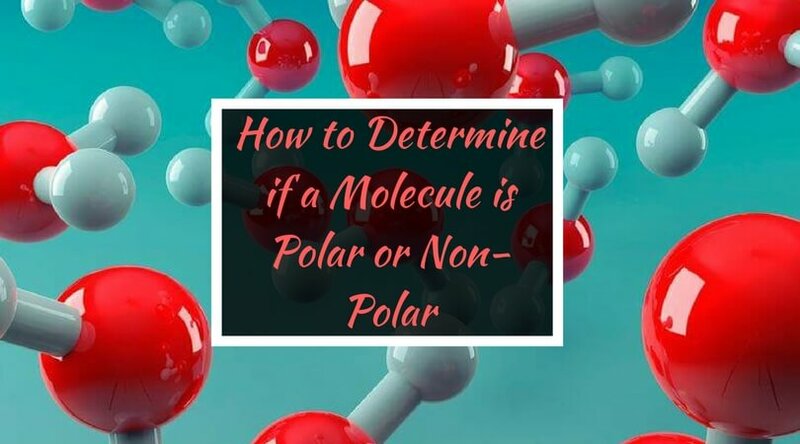 If you are reading this article, then I am sure you are a loyal lover of chemistry. So, I don’t want to convince you about how cool the chemistry is! You already know that. 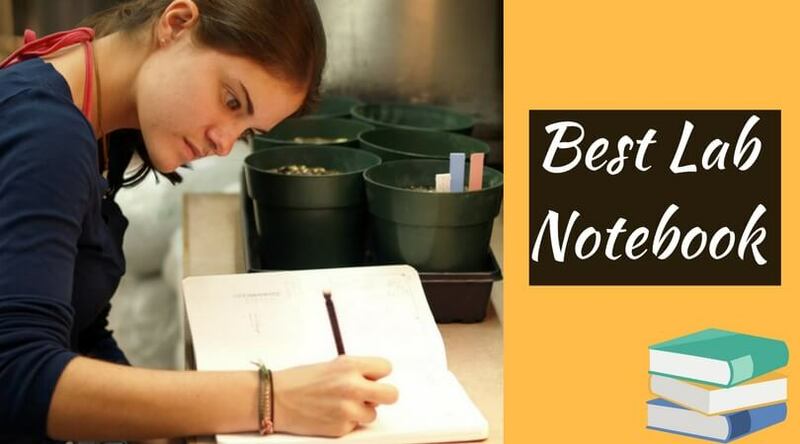 Today, I am here to tell you about the best and my favorite lab safety goggles, which can help you or your children/students in any chemical projects. Eyes are one of the most important organs of our body, and we just can’t risk them for any activity. We should always keep that in mind that we have to protect every organ of our body from any chemicals when we are working in the chemistry lab. We tend to take safety measurements for granted, like wearing the coat, gloves, or lab goggles, etc. Do not risk your life just to save few dollars. 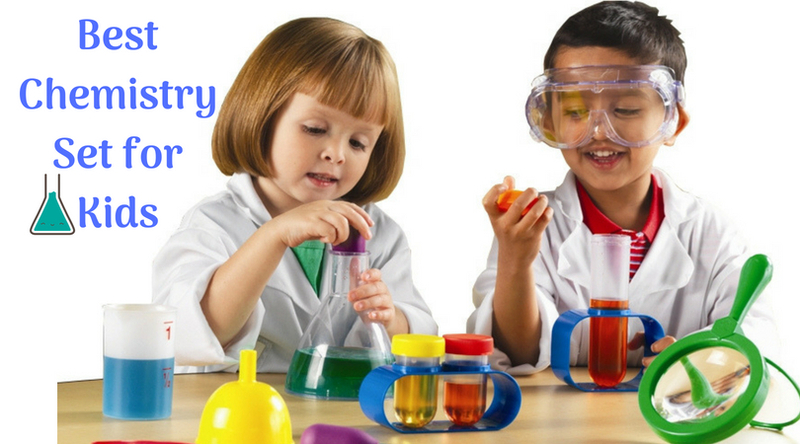 Find out some super safe chemistry goggles in this article. The coating of anti-fog includes the ‘hydrophilic’ components, which helps in assimilating the water and spread it the way that it does not become visible to be seen as fog. 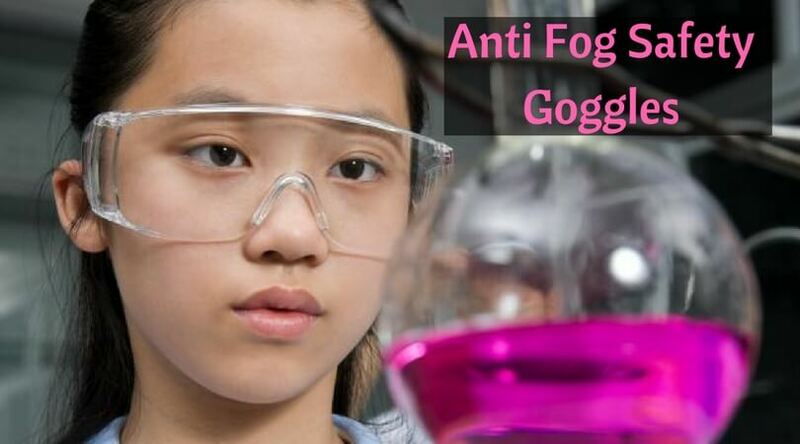 The same coating can be found on the anti-fog safety glasses used in the chemistry labs. This goggles can give you classy look or even the funky look, whatever you want. How? The answer is, this product comes with four fantastic colors like navy body and clear lens, navy body, and amber lens, navy body and gray lens, and navy body with the shade 5.0 lens. Two of these colors can give you classy look, and the rest two can help you to be funky. How cool is that? The glasses can protect the user against impacts, dust, airborne particles, and chemical splashes. There are two options of the materials used in making of the headband, which is fabric headband or neoprene headband. It provides a secure and most convenient as well as gap-free fit. Moreover, the headband is easily adjustable according to the head size. There are more than one tints available for the lens replacement. The lenses come with the anti-fog and anti-scratch coatings, which give clear vision in chemistry labs. The product is manufactured in the U.S.A. and approved the standards of ANSI Z87+ and CSA Z94.3 as well. The design of the goggles also includes stealth OTG which is the most comfortable prescription eyewear and the double-coating technology helps the glasses to have the longer lens life. Also, all Uvex lenses offer 99.9% ultraviolet protection. So this product is just extraordinary in this price range. Grab it today! Grab a Neiko piece today if you want an anti-fog, waterproof, and impact proof lab safety glasses. It comes with three-sided air vents and the most comfortable nose contour. The lens provided in the product is made of the hard plastic, which makes it an essential product as the safety gear to ensure concealment. There is dual injected rubber design which can fit at its best even over the regular glasses to give clear vision and extra safety from chemicals or dust particles. Also, the eye gear is approved by ANSI standard Z87.1 which is most appropriate for worksites and laboratories. Even being chemical goggles, it is versatile as you can use it on any science lab projects, as firearms, and on the construction sites. So, order this adjustable, and lightweight goggles now! 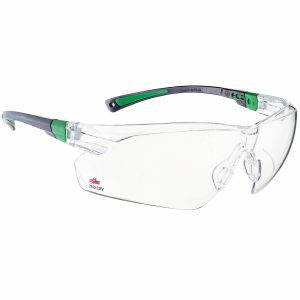 NoCry anti fog safety glasses are the best example of the long-lasting and robust polycarbonate wraparound construction. Whether you are a carpenter, constructor, shooter, cycler, or dealing with the metal in your daily routine, this goggles can be your ideal option. It can also be known as chemical goggles. It is designed to protect your eyes from direct and peripheral threats as well as harmful UV radiation. The sidebands and nose contour are appropriate to give the perfect fit without slipping from the position. You can quickly adjust its strap as per your head size. It is anti-fog, scratch proof, and also anti-glare. The double coated lenses are untinted, which means supremely clear vision and no optical distortion. This item can give you protection from dirt, dust, debris, and any chemicals. Once you wear it, you might be able to work faster, with extra safety. Cleaning up the glasses is a natural process, as you have to use just a dry or damp microfiber cloth and it’s done. Thus, it is ideal for art as well as adventures. The company provides secure exchange and easy return policy. There are very few chances of disliking the product, but just in case you don’t like the goggles, you can quickly get your money back. Isn’t it great? These anti fog safety goggles are also impacted resistant because of its polycarbonate lens. It includes extra soft wrap around PVC frame to provide the ultimate comfort and protection. There is a comfortable headband with the adjustable clip so that the user can set the goggles size as per his/her head size or face type. 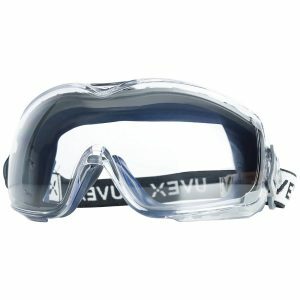 Three sided ventilation system provided by the manufacturer, which is helpful in removing the fog and prevent liquid from getting into the goggles. 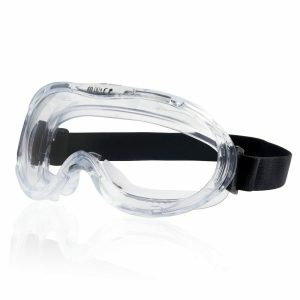 A comfortable PVC frame is there, which gives extra comfort to the users and also helpful for durability of the goggles. The lab safety glasses have achieved all the standards like ANSI Z87.1 to ensure safety and high quality, and also it is CE approved. Apart from all these features, the design gives extra broad angle vision. So, don’t get any second thoughts and purchase one today! This protective eyewear is designed to protect your eyes like no other. All the products under this niche can be used only for professional use. But, Travol gives you a fantastic, heavy duty safety glasses, which you can use even for the household works. It is designed to protect your eyes from any chemicals, dust, debris, and other harmful impacts. This product is soft and light weighted. It comes with the anti-fog and ventilated glasses, which are also non-tinted. Thus, it provides best and clear vision to the user. The anti-fog coating is also capable enough to avoid scratches. Also, it is waterproof, and so, the perfect piece of lab goggles. This pair of goggles is ultra soft and extra wide. It comes with the adjustable strap, which is comfortable for all head sizes. The manufacturer provides 100% money back guarantee so that the buyer can try the product first and then decide further. 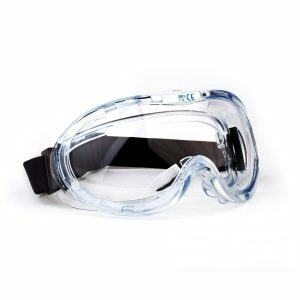 There is no reason to avoid this product as there are no shatter resistant and impact resistant chemistry lab safety goggles available at this price. So, don’t think much and go for this perfect eye protection for your daily routine. 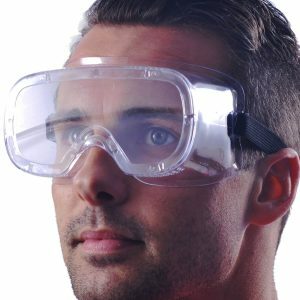 As per my opinion, these are the top 5 chemistry goggles available in the market. The plus point of such glasses is that they can be used for any work or project, and they are not so expensive. I believe that everyone should purchase at least one pair of safety goggles for the emergency purposes. 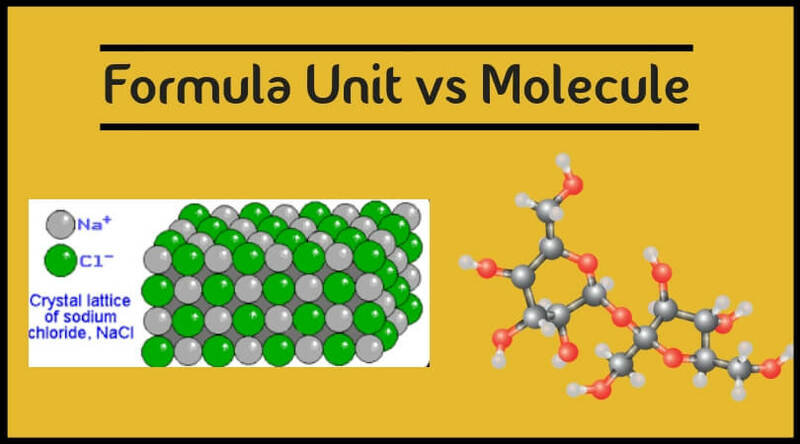 So, I think you should also buy one for you or for your child who is learning geometry of molecules in his small chemistry lab. Gift him/her one of these goggles and make them feel like a real chemical worker.